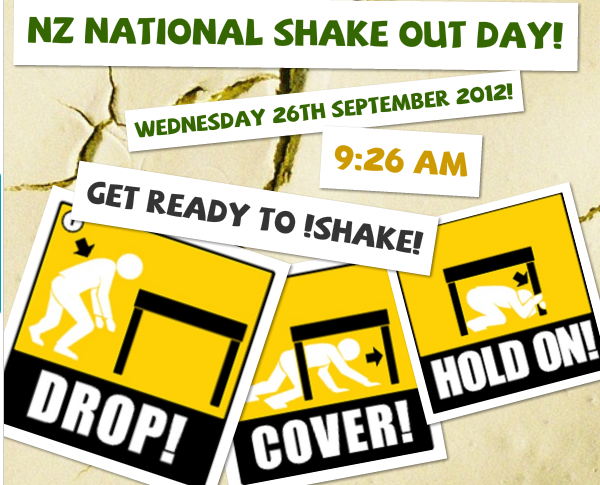 Lydia @ Tamaki Primary School: NZ national shake out day! NZ national shake out day! Mark and Brenda our Duffy role model visitors!